At Pearls International, we understand. That’s why, when you call Pearls International during the business day, you’ll speak to a real person, not an automated system. If you send us an email, or if you happen to call after hours, or while we are helping someone else, we promise that your message will be returned on a first priority basis. Pearls International commits to (and obsesses about) providing the best quality customer care in the business. If you have any questions about our products, pricing, an order you placed, or pretty much anything related to pearls, you are welcome to call us and chat. or just check out our FAQ’s! We will do our utmost to get you the information you need right away. Pearls International Customer Care is available at 386.767.3473 from 10am- 6pm, Tuesday through Saturday (We’ll respond if we are here at other times too, but we do have to sleep every once in a while). 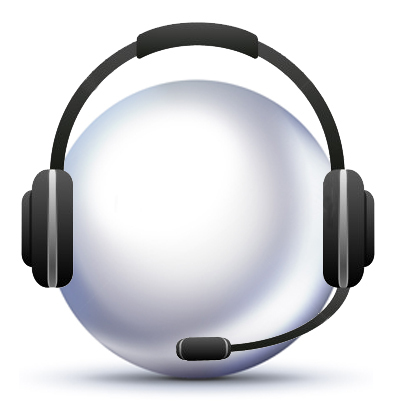 We are always available at customercare@pearlsinternational.com and we will answer your emails on a first priority basis. At Pearls International, we are deeply aware of the perils of jewelry shopping. You know the drill, they look so pretty the first time you see them, but when you finally get them home you’re not quite sure how the latest hot-pink disco-revival trend will work with your somewhat more subdued collection of business suits! We’ve been the victims of buyer’s remorse ourselves, so when we started in the pearl business, we set out to make sure it never happened to anyone else! Pearls International is proud to offer a 100% Unconditional Guarantee on all the jewelry made in our store. If you aren’t totally satisfied with your purchase, or if you have any concern at all that your new jewelry might end up in the bottom of your jewelry box never to be seen again, just send it back! We’ll refund or exchange it for you, no questions asked. Pearls International offers a money-back 30-day return and exchange policy. You can send your item back in its original condition along with its original receipt within 30 days for a full refund or exchange it for something else: all you have to pay is the return shipping! See our returns page for how to pack and ship your return. We do everything we can to make sure every piece of jewelry we create is perfect before we ship it to you. If you’ve received an item that is not as ordered, please do not worry, we will fix it or replace it and work with you until you are completely happy with your item. Simply give Pearls International Customer Care a call at 386.767.3473 and we’ll walk you through exactly what to do. All workmanship is guaranteed for a full year, but our pieces often last for generations! Read more about our one-year warranty. Most orders will arrive at your door within a couple of days, depending on the shipping method you select during checkout. We will keep you posted on the progress of your piece by email, if you include your email address when ordering. If you have any questions about your order, please do not hesitate to contact us and we will be happy to discuss your questions. We could talk about jewelry all day. Really! 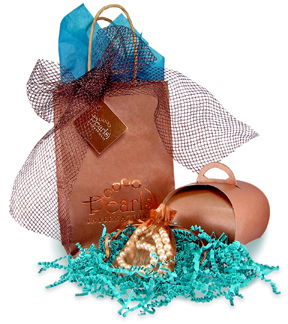 Once your order is complete, our Pearls International Pearl Girls will set about packing your purchase neatly into a lovely organza drawstring bag surrounded with bright tissue paper in a sturdy box. It will be safely packed and arrive in great condition, along with an authentication card and brochure about Pearls International. If you selected the gift wrap option, your pearls will be lovingly nestled in our signature wrap, a beautiful rich copper-colored tulip box with a gorgeous bow and a gift tag that you can personalize for your recipient. Everyone will ooh and ahh over how gorgeous your gift looks! In addition, we always include an authentication card that explains what type of pearls you selected and a brochure that tells about Pearls International. Get in touch with us! We are available by phone at 386.767.3473 from 10am – 6pm EST Tuesday through Saturday (you can leave a message if we aren’t home) and you can always reach us by email at customercare@pearlsinternational.com!